A video messages from the Registrar of JAMB and a demo on how to use eight (8) keys for UTME examination without mouse. (For candidates with little familiarity with Computers). Each Candidate is to complete the online application form by supplying the required details such as name, e-mail address, L.G.A., academic qualification, etc. At the CBT centers, Candidate’s ten fingers biometric and image will be captured and uploaded. O/L and/or A/L grades are to be provided by candidates. Candidates who are awaiting result should supply the result online as soon as the results are available on JAMB’s portal. Each Candidate is to collect his e-slip at the end of registration as evidence of registration. 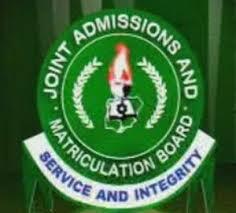 The Joint Admissions and Matriculation Board (JAMB) commenced sale of registration forms, for the 2019 Unified Tertiary Matriculation Examination, has started. Sale of forms will last for six weeks.